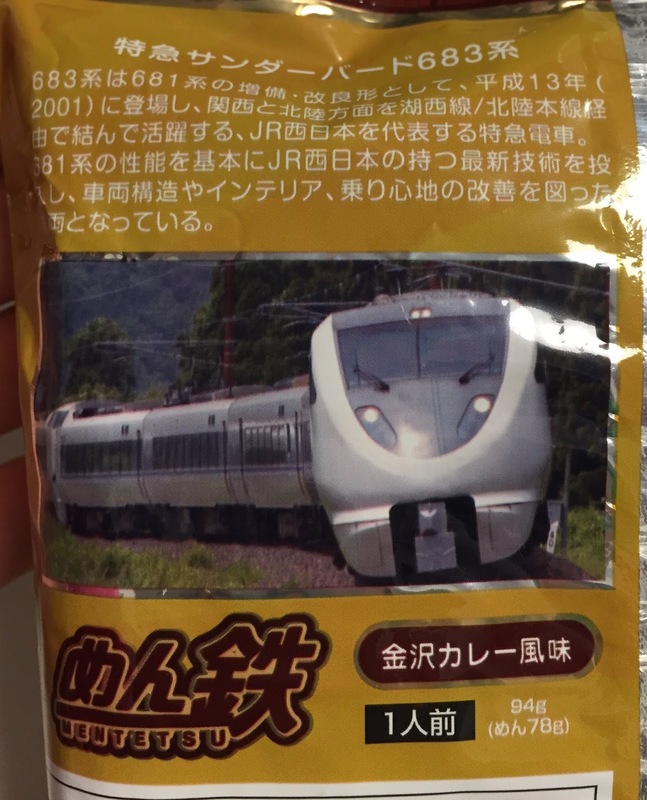 My mom gave me this "Mentetsu Limited Express 683 Series Thunderbird Kanazawa Curry" with Hokuriku Shinkansen 1st Anniversary Tirol-Choco. 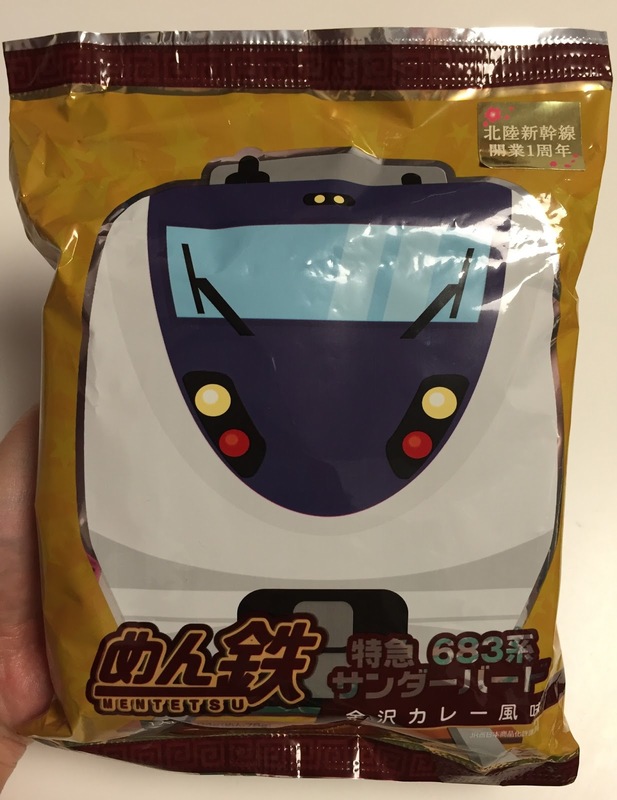 Like the name, the train on the package is Limited Express 683 Series Thunderbird. 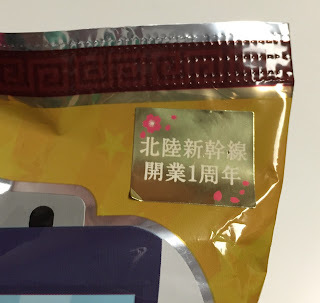 There's a sticker on the right top celebrating Hokuriku Shinkansen's 1st anniversary. At the bottom, it says "Mentetsu Limited Express 683 Series Thunderbird Kanazawa Curry." On the back, there's an explanation of Limited Express 683 Series Thunderbird. 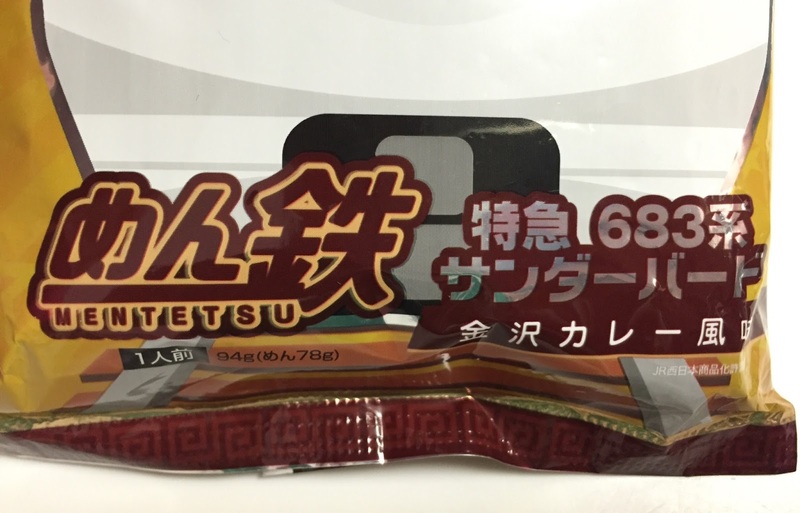 "683 series was an expanded and improved version of 681 series, and it appeared in 2001. Since then, it's been connecting Kansai and Hokuriku area via Kosei/Hokuriku Honsen Line and one of the representative limited express of JR West. For the performance of 681 series, they added JR West's newest technology, enhanced the train structures, interiors and ride quality." 1. 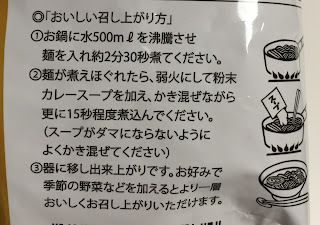 Boil water (500ml) in a pot, cook the noodles for about 2 minutes and 30 seconds. 2. When the noodles are cooked, turned heat down to low and add curry soup powder, stir, and cook for about 15 seconds. 3. Place in a bowl and ready to eat. 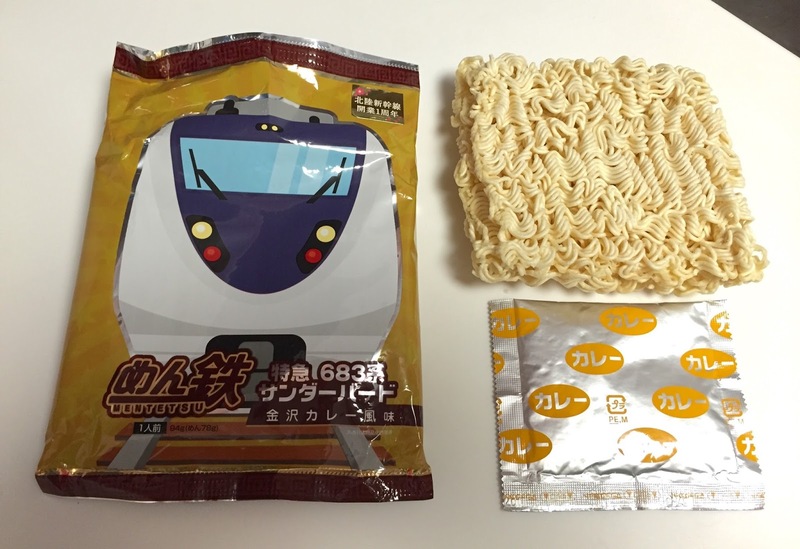 There're fried instant noodles and a pouch of curry soup power. Following the detailed directions, I cooked the noodles for 2 minutes and a half precisely. I added curry soup powder and stirred for 15 seconds. The soup had spicy curry scent and it's close to soy sauce ramen, too. 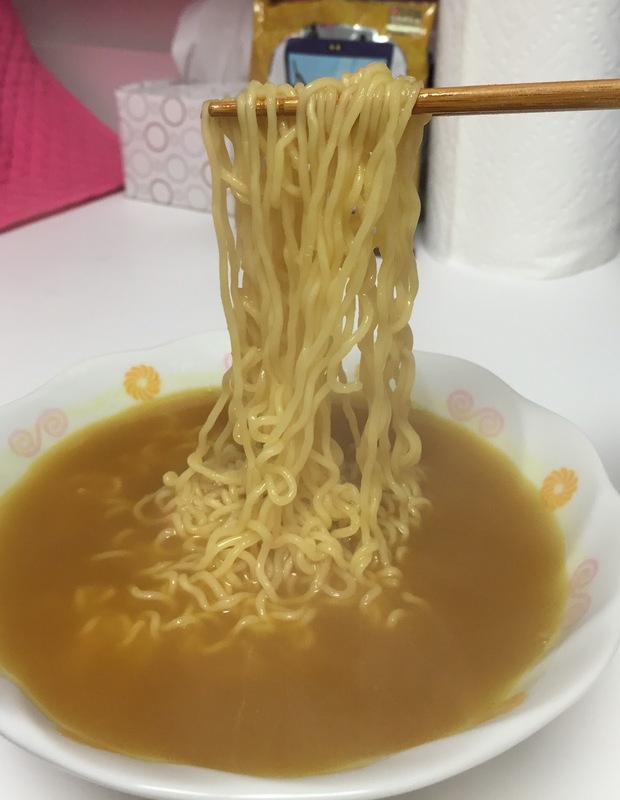 The wavy noodles were shiny and smooth, and they're not too hard or too soft. 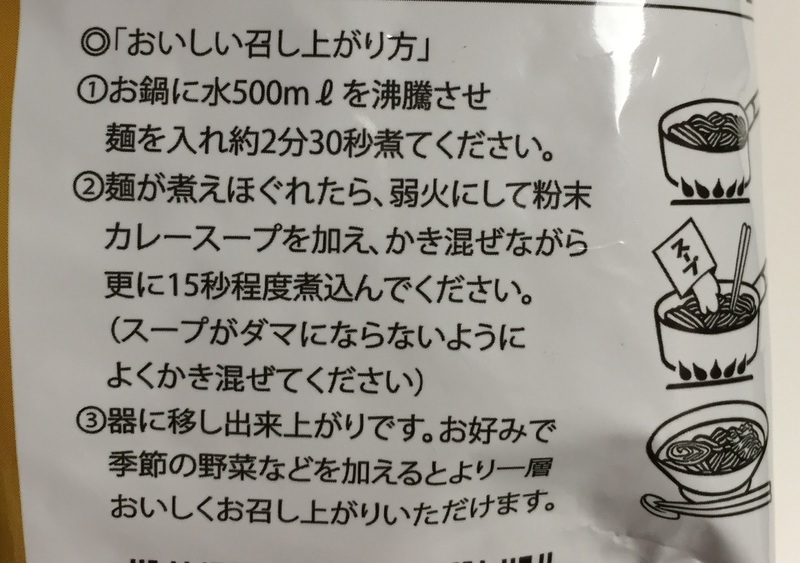 The curry soup had onion scent, and though it's watery, the curry favor was vivid and peppery.